Just brought home a new bike and looking to deep dive into the wonderful world of cycling? For starters, take your bike outside a few times and enjoy riding around the neighbourhood. Get to know your bike better and also get comfortable with braking and using gears. Next, google/discover and sign up with bike clubs, communities or bike shops in the area. Most offer rides on weekends and sometimes during the week too. 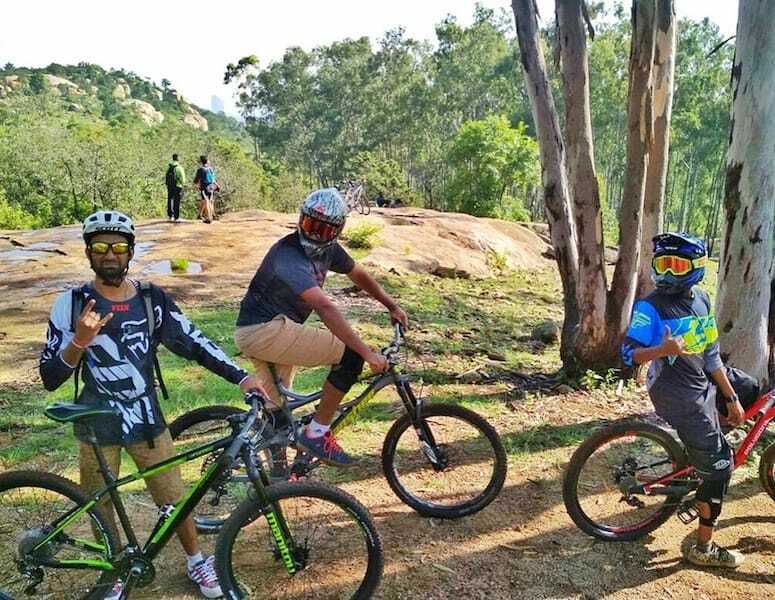 These rides are a great way to explore the area, discover new riding routes, connect with other cyclists and to have an excuse to ride your bike! All group rides will have a specific meeting point and time. Respect everyone’s time and don’t be late, making the group wait for you. Rock up early and connect with others on the ride, getting a feel of what the group is all about. Generally, most groups wait for 5 minutes before leaving. That being said, it is better to be early! Group riding is a fun and social event. It’s a great opportunity to meet new people, share your passion and potentially make a friend for life. Make it a point to show up early and connect with other riders in the group. Communication within a group is vital for both safety and a great ride experience. Learn about signs commonly used on group rides and don’t be afraid of using them. If you are at the front of the group, and there is a turn coming up – be sure to clearly signal the direction. Also, it is a good habit to point out potholes and road-obstacles if you are near the front, as vision can be obscured at the back. Be sure to understand how fast or slow the ride is. Racing ahead or struggling to keep up are both not fun for your or for the group. 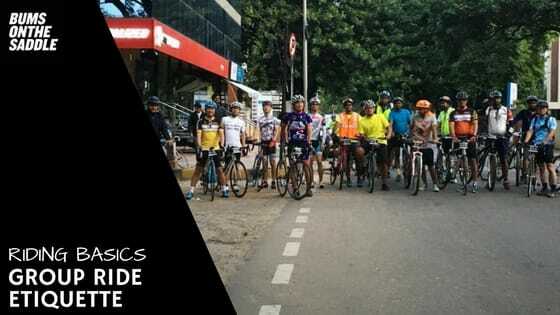 Ensure you understand the pace of the group before you sign up for the ride so that on the day of the ride you can comfortably pace the group to enjoy the ride. Most groups ride with two rows of cyclists as it is aerodynamically efficient and safer. Try to get comfortable with having riders on all sides. Once within the pack, riding along will be comfortable. It will be easy to go along with the flow. However, it may take a while to get used to and may be best if you stay near the back at the beginning, if you feel more comfortable there. Most rides end up having to encounter varying amounts of traffic! Remember to check on how the group handles traffic situations – red lights, highways, crowded routes – to ensure you’re familiar with these situations. Stay safe at all times. That’s it! Group riding is truly one of the best things about cycling. Visiting scenic places with friends on a bicycle is extremely enjoyable. Just need to keep a few things in mind while riding out in a group. No group ride where you live? Just start one yourself, and others will be more than happy to join in. You don’t need to be an expert to kick off a group ride – just need to have the enthusiasm and the passion to ride your bike.